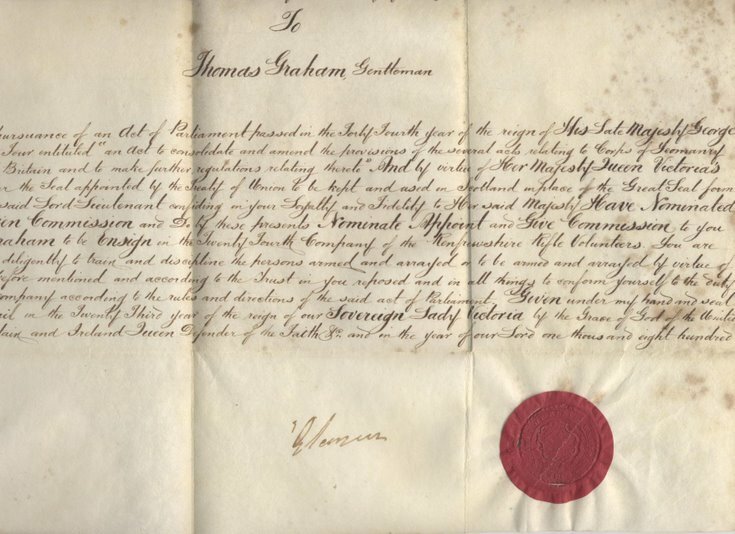 Parchment commission with seal appointing Thomas Graham ensign in the 24th Company Renfrewshire Rifle Volunteers. 1860. Discoloured parchment with red wax seal, there are many age spots and the document is heavily creased along its fold lines.